When Michael Breen works with you, his goal is to not only help you find or sell property, but to create a client for life. Once he rents or sells an apartment, Michael wants his clients to come back for real estate advice, to use him again for future transactions, and to refer him to family and friends in return for his superior service. And thankfully, they always do. Michael forges strong relationships and wins long-term clients because he spends time educating you on the market, as well as on the different neighborhoods and steps required to make your transaction a success. Michael offers unparalleled support, knowledge, resources and connections that give clients a very unique advantage. A career real estate agent, Michael has spent many years renting and selling in the Williamsburg/Greenpoint area of Brooklyn as well as on the eastside of Manhattan, and Astoria and Long Island City in Queens. He is a good communicator, hard worker and expert negotiator who helps clients get the most favorable deal possible no matter what their specific needs. Originally from Connecticut, Michael earned a Business Marketing degree from the University of Montana. 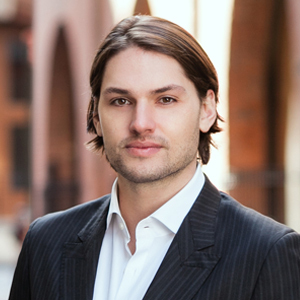 He has lived in both Williamsburg, Brooklyn and in Manhattan, and enjoys touring clients around town to hone in on the best location for their lifestyle. In spare time Michael loves trying new foods, and taking in the diverse culture, performances, architecture and music that New York City offers.